Introducing the world’s smallest AND most ECO-friendly café, totally enclosed in a bicycle. The Wheelys 2.0 is packed with small details and large solutions. It is no longer a bike that sells coffee, it’s a full service café on wheels. 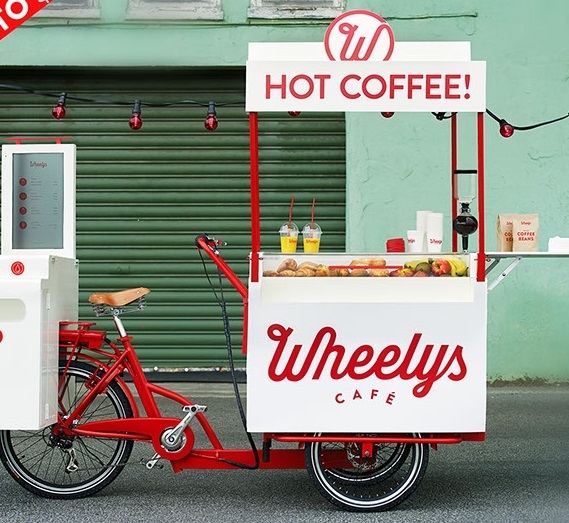 A Wheelys is a full serviced café on wheels, made in a small factory. It serves coffee, tea, cold drinks, juices, pastries, fruits, salads and sandwiches.